Rencore partners help you to implement and get the most out of our powerful products. Be it performing and interpreting customization audits and reviews on your existing SharePoint solutions and add-ins, providing guidance transforming your solutions to the cloud, integrating our tools into your development and governance process or developing your company-specific customization policies, rules and metrics. 2toLead has been named a generous Microsoft consulting company by its customers. 2toLead employs trusted, passionate and experienced consultants who work hard to solve the most challenging business and technology problems that face our clients. Alight Consulting GmbH is an IT and process consulting company established in September 2012 by the two managing directors Dr. Ralf Kuhn and Dr. Habib Lejmi. The company is headquartered in Ottobrunn and fucuses on the design, development, and operation of software applications based on Microsoft technologies, especially Microsoft SharePoint. AXONES is an IT services company, brand of NEURONES Group, specialized in custom­ made application solutions. AXONES is growing with a high-added value and result-oriented commitment for management, design and development of application projects in mobility,cloud­ computing and collaboratives systems. Baufest is an international company specialized in providing IT services with offices in USA, Spain, Chile, Mexico and Argentina. Through its 25 years in business, solid structure and more than 350 employees, it has created 1,000+ quality business solutions for more than 200 mid to large corporations in 50 countries of America, Europe, Asia, and Africa. Services include Outsourcing, Software Development, Security & Infrastructure, Consulting and Business Solutions. Baufest has a client satisfaction rate higher than 95% and is distinguished by the Great Pace to Work Institute as one of the best places to work. Class Solutions offers software development and IT services and Professional services for over 12 years. These services have helped its customers increase the perceived value of IT and solve complex problems and processes. Commitment, quality, and professional excellence are key aspects of their services. Computacenter is Europe’s leading independent provider of IT infrastructure services, enabling users and their business. We advise organisations on IT strategy, implement the most appropriate technology, optimise its performance, and manage our customers’ infrastructures. In doing this we help CIOs and IT departments in enterprise and corporate organisations maximise productivity and the business value of IT for internal and external users. City of London’s leading provider of IT solutions and services based on the Microsoft Office SharePoint Server platform, offering consulting, technology, development, support, IT resource and outsourcing. Founded in 2009 as spin-off of Technical University Munich (TUM), we offer innovative consulting and products to help our customers evaluate, control and improve their software quality. CQSE was founded by Dr. Florian Deißenböck, Dr. Martin Feilkas, Dr. Benjamin Hummel, Dr. Elmar Jürgens and Prof. Dr. Dr. h.c. Manfred Broy. Datalynx AG was founded in 1996 in order to meet the informatics needs of both multinational and local organizations. Datalynx has also always valued the strength that comes from a fruitful relationship and we are pleased to say that our initial customers are still with us today. deroso Solutions develops and implements IT strategies that are based on overall business objectives – and also ensure a rapid response capability for future technological and economic changes . True to the respective market requirements, we create synergies between IT and business processes to ensure the value of IT in business success. Axians IT Solutions with head office in Ulm is a manufacturer-independent IT company and is part of Axians, the global brand for ICT solutions from VINCI Energies. The Axians IT Solutions portfolio includes all components of core ICT requirements and delivers solutions for the demands of digital transformation. Always bespoke and tailored precisely to customers’ needs. Employing an integrative methodology, the Axians IT Solutions specialists help customers exploit technologies and applications appropriately and optimise their processes. Holert is a leading consulting firm for the methodological and technical optimization of project and resource management systems based on Microsoft Project. The company currently has 17 specialists led by Renke Holert and Arne Zwirner. Very close contact to Microsoft, technical and methodological foundations and many years of experience form the basis for a unique service offering. At Intelligent Decisioning we are passionate about delivering no-nonsense solutions to your business, using best practices and staying ahead of the game. Our range of services consisting of IT & strategy consulting, conception and implementation is the basis for the development of practical software solutions with a strong benefit-orientation. This is what we are doing since more than 23 years with enthusiasm, passion, and know-how. With 50+ Employees and offices in Berne and Zurich, isolutions refines software and fine tunes it perfectly to business requirements, turning marketing opportunities into entrepreneurial advantages. Liquid Mercury Solutions offers consulting, architecture, development, programming, and troubleshooting for even the most challenging, customized solutions authored for Microsoft SharePoint. We provide software-to-spec and custom designed solutions for IT companies, private businesses, nonprofits, and government agencies alike. LIKE 10 INC. is a software consulting and information systems management corporation, located in Ottawa, Ontario, which focuses on development and premier support for the Microsoft Windows Platform. Our focus is on Visual Studio ALM, Visual Studio Team Foundation Server and Microsoft SharePoint Server. Using technology to accelerate our customers’ success. MVP Cluster is a young company formed by Microsoft Most Valuable Professionals (MVPs), IT Pros, Developers and Microsoft Certified Trainers (MCTs), specializing in Microsoft technologies and platforms, Collaboration Solutions, Productivity, Unified Communications, Security and Training. Onsight is a training and consultation company focused on Microsoft products. Their core knowledge is in Microsoft SharePoint, Office, Office 365 and Azures solutions. Portal system is a system integration power house with expertise in both ECM ( Enterprise Content Management ) and SharePoint. Its motto “Understand the processes. Find the solutions ” enables the company to provide the best business solutions and enhancements for enterprise content management and SharePoint products. Rumos is a recognized worldwide organization in the IT Sector, acting as the major IT Training center for Portugal. Rumos also provides Outsourcing services, counting with highly skilled team of certified consultants, in parallel with Consulting Solutions in fields such as Data Center & Infrastructures, Productivity & Collaboration Solutions, Business Intelligence, Microsoft SharePoint and IT Service Management. Shreyan Advisory has evolved as a successful, expanding and profitable business since establishment. We believe that this is a critical factor in favor of choosing Shreyan Advisory as the long-term partner in supplying Customers with human resource, Training platform, and Software solutions now and in the future. Shreyan Advisory is a leading provider of integrated enterprise software solutions, Web Applications, Mobile Applications, Cloud Solutions and Consulting Services for Fortune 500 Companies and mid-market companies. Since our founding in 1999 we operate largely for public clients in federal and state governments. In this complex environment, we create innovative, high-quality and complex IT solutions. The expertise gained in this enterprise environment also benefits our medium-sized customers and large corporations in the private sector. SkyeNets Technologies offers a full range of Cloud, Business and Technical services combined with extensive experience and insight deploying and integrating Microsoft Technologies on private, public and hybrid cloud scenarios for our Federal and Commercial clients. At SkyeNets we are passionate about what we do; transforming organizations and enhancing the experience of our customers with the right tools and technologies. Stefan Bauer is a design-minded developer and information architect based in Vienna / Austria. Ventigrate is a Microsoft Gold Partner in Collaboration & Content and Application Development. We focus on building rich applications for Office 365, SharePoint and ASP.NET. The ‘staying ahead’ principle allows us to keep up with new technologies in an early state and present customers with the correct tools for the job. Ventigrate is part of the Cronos Group. SysKit is a software development company based in Zagreb, Croatia that focuses on creating enterprise monitoring and administration solutions for SharePoint and SharePoint Online, Windows Server, Remote Desktop Services, and Citrix environments. 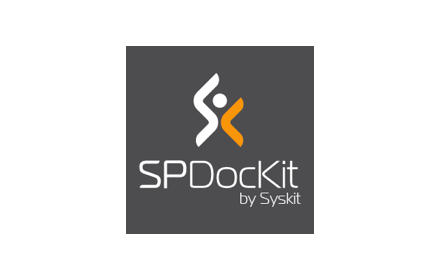 SysKit has developed SharePoint administration tools such as SPDocKit, SysKit Insights, and SysKit Security Manager. 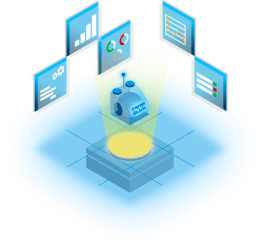 Our tools allow you to audit and document farm configuration settings, analyze and manage permissions, track changes, monitor farm health and server performance. Trusted by thousands of global customers. AvePoint is the established leader in enabling enterprise collaboration across platforms and devices. Founded in 2001 and headquartered in Jersey City, NJ, AvePoint serves over 14,000 organizations and 3 million Office 365 users worldwide. AvePoint is privately held and backed by Goldman Sachs and Summit Partners. Rencore’s SharePoint Code Analysis Framework is integrated in AvePoint DovAve Deployement Manager. Amazon Web Services, a subsidiary of Amazon.com, offers a suite of cloud-computing services that make up an on-demand computing platform. These services operate from 13 geographical regions across the world. Rencore’s SharePoint Code Analysis Framework can be hosted with AWS. Rencore’s SharePoint Transformator will support Nintex workflows. Solutions2Share provides professional consulting and software development for Microsoft Office 365 and SharePoint. We combine our efficient and user-friendly solutions with customized adaptations and reliable support to assure your processes running smoothly. 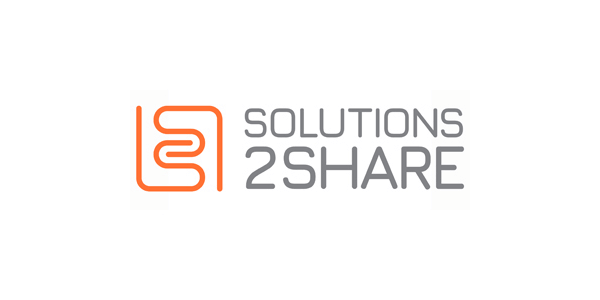 Solutions2Share offers in-house developed software solutions for Microsoft Office 365, SharePoint Server 2010 or higher. Our long-term SharePoint-expertise as well as findings from intensive cooperation with our customers have made their way into our products. Our products are helping customers from medium-sized businesses to large corporations optimize their processes every day. skybow are creators of SharePoint app building tools. They also remember that building it isn’t enough; you need to test it, publish it to production, update it, and even stage it for resale. A skybow solution includes forms, app logic, lists, libraries, pages, styles, schemas, hooks to services – everything. They can be packaged, deployed, turned into templates, and a lot more. The tools you use are made to deliver fast results, not to be so “easy” that they’re limited to a few simple use cases. 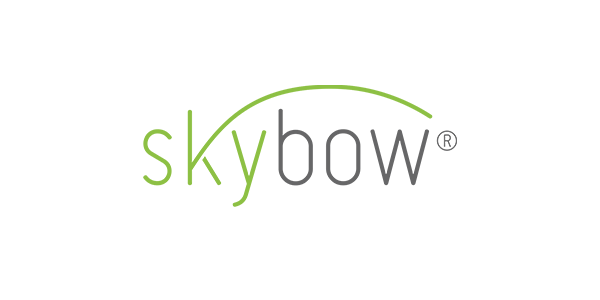 More than 400 organizations in 50+ countries trust skybow to build no-code/no-compromise solutions, and skybow’s community of customers, partners, and experts grows every day.